Glazer was supposed to host a talk at Union Temple of Brooklyn about the importance of voting in Tuesday's election. 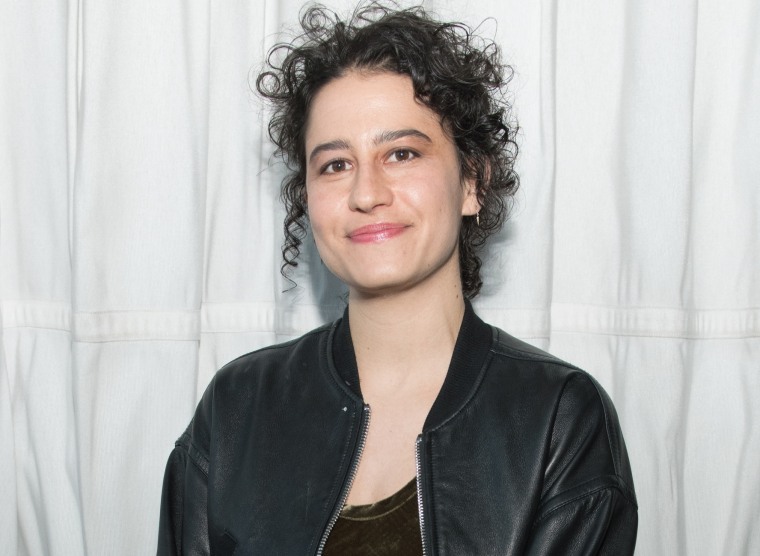 A political event at a Brooklyn, New York synagogue hosted by comedian and "Broad City" actress Ilana Glazer was canceled Thursday night after a congregant found anti-Semitic messages like "Jews Better Be Ready" written on the walls in black marker. The congregant discovered the graffiti on the second and fourth floors of Union Temple in the Prospect Heights neighborhood around 8 p.m. ET, New York Police Department Lt. Thomas Antonetti said. The messages read: "Die Jew Rats We Are Here" and "Hitler." "We'll have more events soon. Thank you for coming and caring and following your curiosity. This is action in itself, gathering. And we'll follow up with more specific action," Glazer told the crowd in an Instagram video posted by an attendee. Friday night, the New York City Police Department tweeted that officers arrested a suspect. As the search was ongoing, police said "There‘s no place for hate in NYC." NBC New York, citing police, identified him as James Polite, 26. The hateful scrawlings come less than a week after 11 people were killed at Pittsburgh synagogue by alleged gunman Robert Bowers, who opened fire during a Sabbath service on Oct. 27. Glazer was supposed to moderate a talk called The Generator Series about the importance of voting in Tuesday's election with journalist Amy Goodman and state senate candidates Andrew Gounardes and Jim Gaughran. Gounardes released a statement following the cancellation saying the anti-Semitic graffiti was a reminder that prejudice is still alive in the community. "Now more than ever, we have an obligation to reaffirm our commitment to tolerance and send a clear message that any individual or group who promotes violence and hate is not welcome in our City," he said.